As it turned out, I had a lovely Black Friday. My family was visiting for the holiday and we were in agreement that the mall was not where we wanted to spend the day. So we made the hour drive north to Santa Barbara to enjoy a balmy mid-70s day among the inspiring Spanish Mission architecture and hoped to find something we all wanted to do. Except for lunch on State Street, we didn’t. Find an amusement for everyone. 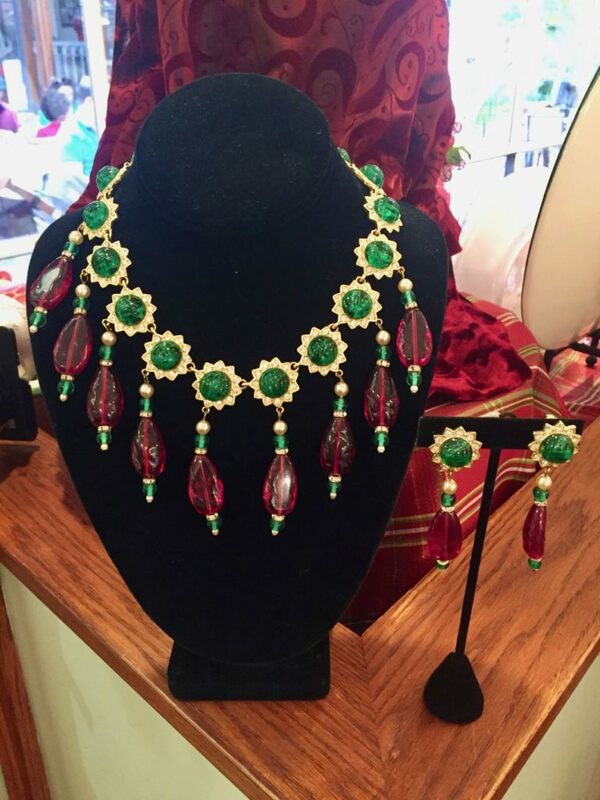 The Stanley Hagler necklace and earring set, pictured above, (priced at $995) was one of the two that caught my eye in the shop window. The second was a vintage (I think, but I was rushed, refer to reprieve mentioned in previous paragraph) Kenneth Jay Lane necklace and earrings set (priced at $1,695, not listed on website). The shop has some of its vintage jewelry collection online and some of its contemporary jewelry, too. And although I didn’t take any photos (again, very rushed due to family obligations), Renaissance Consignment on State Street at the entrance to La Arcada (around the corner from Coast 2 Coast Collection) also had some really cool-looking vintage jewelry in the window, as well as designer clothes and neat belts inside. 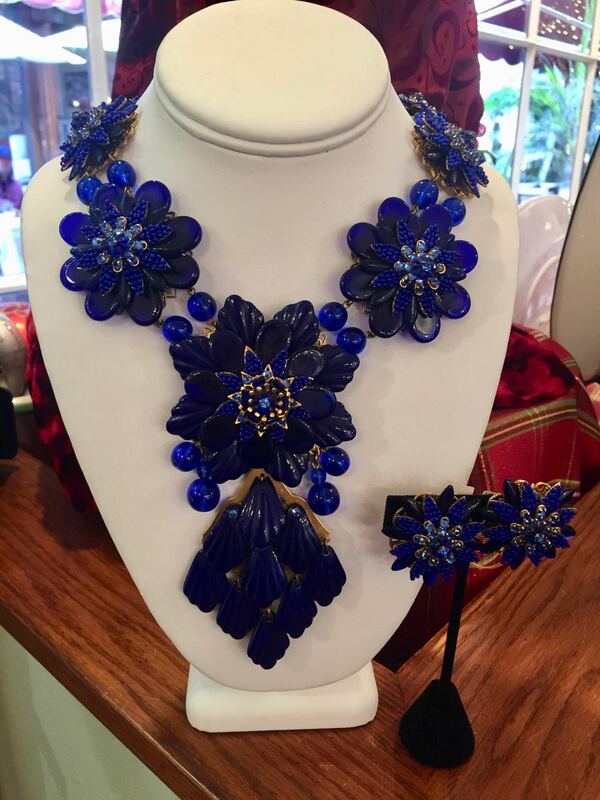 Posted in Gems, Jewelry from..., Vintage Jewelry and tagged Coast 2 Coast Collection Santa Barbara, shopping in Santa Barbara, vintage Chanel jewelry, vintage Kenneth Jay Lane, vintage Stanley Hagler N.Y.C. These are really fabulous designs thanks a lot for sharing. Great article Katherine..keep posting such articles..love reading them. I always love the vintage jewelry, thanks for sharing such fabulous jewelry collection. Really appreciable jewelry designs and model. Hi Katherine, The jewelry collections are just cool. Actually, you did a great job for us. Thanks. Katherine your collection of jewellery is outstanding. And I love to read your article too. Very nice post Katherine! I am a big fan of Floral Jewels,thanks for your collection! Really like the first one!